L3 cache. Gigabit Ethernet port on-board, HDMI, eSATA, DVi ports, with a 17.3" FullHD display and full size keyboard are supported. Featuring workstation-class or server-class Intel Core i7 or Xeon Processor and up to 24GB of DDR3-1600 memory, the Panther also features a whopping 3.25TB with RAID 0/1/5/10 - making it the perfect mobile workstation or server laptop for users who demand extra-large capacity storage and reliability for a true portable server / workstation experience. Driving the system is the newest six core 130W 3.46GHz Intel Xeon X5690 processor with bus speeds of up to 6.4GT/sec and 12MB of L3 cache, which delivers exceptional multi-tasking and multi-threaded performance. It also supports the newest line of Intel Core i7 processors. Featuring Multi Vendor VGA support from NVIDIA Geforce and Quadro FX to AMD Radeon. The Panther 3.0, which measures (16.76x11.44x2.26-2.43inch) and weights around 12lbs depending on configuration and also supplies SATA-300 storage (up to 3.25TB using four hard drives). Customers may also choose between RAID 0, RAID 1, RAID 5 or RAID 10 for the ultimate transfer rates and application load times or redundancy. c) Server on-the Go (SotG) with a Intel 6-core Xeon X5690 Processor, 24 GB RAM, 4 physical drives drives (SSD, HDD, Hybrid) in RAID 0/1/5/10. On-site training, Application Development, Rapid Engineering Deployment, Standby Backup Servers and Emergency Response. A 12lbs notebook form factor computer with server capabilities and benefits of mobility. With Network Server class Intel Xeon X5690 processor; up to four storage drives in RAID 0/1/5/10; 24GB of RAM, TPM, Uninterrupted power supply, Expresscard 34, 1 Gigabit LAN on board. Panther 3.0 supports over 16 differerent processors of 3 different types (Desktop, Gaming and Xeon), 8 different VGA options in 2 different configurations (SLI and CrossfireX), 18 different drives in 4 different configurations (RAID 0, 1, 5, 10); 8 different Memory configurations in Triple Channel configuration. Two 100W VGA cards are supported using MXM 3.0b interface. Professional level NVIDIA Quadro cards and enthusiast level NVIDIA Geforce and AMD Radeon graphics processors are supported. Eurocom supports up to four storage drives in the Panther 3.0 using a SATA 3GB/s interface in RAID 0/1/5/10. To take advantage of the six core Intel desktop processors the Panther 3.0 supports 24GB of DDR3-1333 and 1600 RAM. Multiple memory configurations are supported. Eurocom tests the performance levels of high end technology and components to help our customers in their decision making process when acquiring new technology. 1. In 3DMark 11 the EUROCOM Panther with 2xAMD HD6970M reached a score of 5689, in 3D Mark 06 2xAMD HD6970M achieved a score of 22669. 2. During Quadro testing, the EUROCOM Panther achieved scores of 71.52 in SPECviewperf 11 Maya-03 with NVIDIA Quadro FX 5000M. 3. While testing performance levels of RAID using AS SSD Benchmark, Solidata’s MLC SSD with Sandforce 1500 controller reached an overall scored of 792 in RAID 0 with three drives. 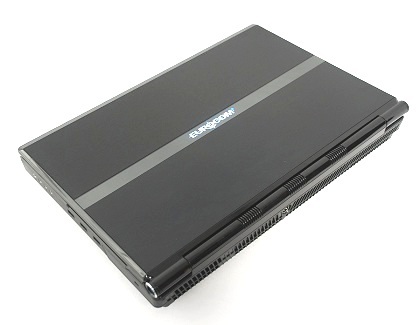 Eurocom is a leading developer of mobile computer technology. Eurocom began with the goal of creating the most advanced computer systems and using advanced engineering techniques typically unseen in the computer industry. The company has produced many firsts and continues to engineer well-balanced machines and VGA solutions that inspire and enable individuals to reach great possibilities.